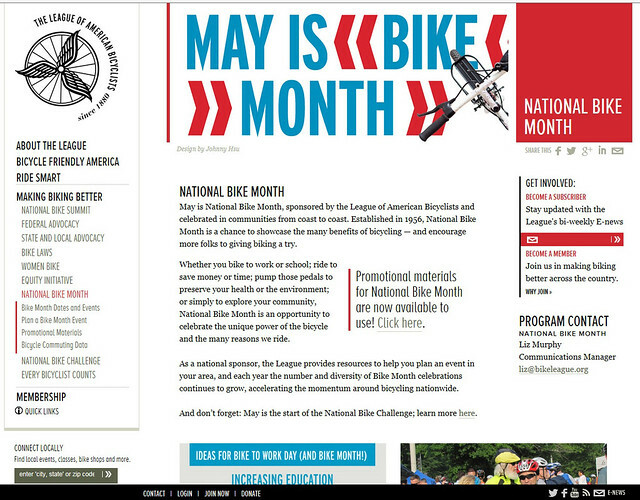 As you know, May is National Bike Month here in the U.S. As always, the League of American Bicyclists is a great source for information on events in your area. Swing on over to their website to access their database of events. Just enter your city/state or ZIP code in the fields on the left side of the screen and get involved. Ride safe, and have fun! WHO: Performance Bicycle®, the nation’s largest independent cycling retailer, offers free safety inspections to help riders prepare for National Bike Month in May. WHAT: From May 7-13, 2012 everyone is invited to bring their bikes, no matter the point of purchase, into any of Performance Bicycle’s 100+ nationwide locations to receive a free safety inspection in time for the inaugural Bike to School Day on May 9; Bike to Work Week May 14-18; and Bike to Work Day on May 18. Cyclists can visit their local Performance Bicycle store during normal business hours to receive a free safety inspection, typically lasting only 2-5 minutes. 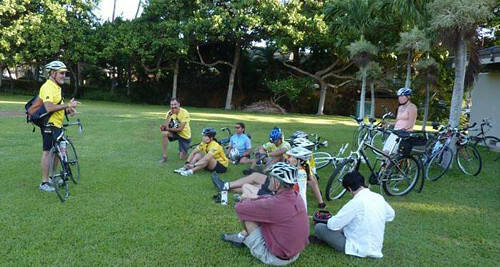 A Performance Bicycle specialist or Spin Doctor will inspect the main components of each bike to ensure the gears, brakes, tires and wheels are in proper working order. That’s the deal of the century — ride safe and ride strong throughout Bike Month!